Okay, this post has nothing to do with Sherlock Holmes but it might be of interest to some nonetheless. To celebrate their fourth year, my publisher, Hidden Tiger are running a promotion on one of their earliest releases, namely 'Tales From the Moonstone Inn'. During the next five days (18th - 22nd May) you can download a Kindle copy of it completely free. 'Tales From the Moonstone Inn' is a collection of stories written in the 1920s and 1930s by my great-great uncle, Francis William Strapp, a down-on-his-luck Englishman living in Australia. He was a man who lived a life every bit as captivating and mysterious as the stories he wrote, from his near-death experience in Sydney to the reasons behind his decision to emigrate to Australia, leaving his wife behind. For over eighty years the majority of his works remained unpublished, with his hand written manuscripts sitting in the bottom drawer of a family member's bureau. In 2011, seventy-four years after his death, his surviving works finally found their way into print. The book contains two novella - 'The Moonstone Inn' and 'The Man Who Tossed a Sixpence', mystery adventures set in Australia and the South Pacific. In them, the reader will come across dark schemes and evil deeds, hidden hoards and guarded secrets, mixed in with a smattering of romance. 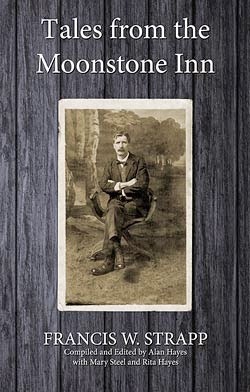 The collection also contains two short stories, letters to the press, photographic illustrations and essays which focus on the author's life and the settings for his stories. Pick up your copy here before it goes back to its regular price.